Sydney, Australia — February 27, 2018 — Esker, a worldwide leader in document process automation solutions and pioneer in cloud computing, today announced it is working with Promega France, a leader in providing innovative solutions and technical support to the life sciences industry, to automate its accounts receivable (AR) process in anticipation for the e-invoicing to public administration requirements scheduled to take affect in 2019. Thanks to Esker’s cloud-based Accounts Receivable solution, Promega France has been able to modernize its invoice processing process and improve customer service efficiency. The solution was implemented in just six weeks and has enabled Promega France to send customer invoices as soon as they are prepared by email (in PDF format) or postal mail from Esker’s production facility. Fully integrated with Promega France’s SAP® ERP system, Esker’s solution also facilitates invoice tracking and archiving via an intuitive web interface available to all company stakeholders. Thanks to Esker’s solution interoperability with Chorus Pro, the French public administration platform, Promega France can confidently anticipate mandatory e-invoicing to public administrations in January 2019. The public sector represents close to 70 percent of Promega France’s order volume. 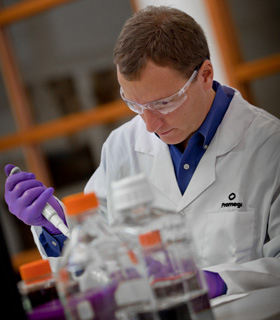 Promega Corporation is a leader in providing innovative solutions and technical support to the life sciences industry. The company’s 3,500 products enable scientists worldwide to advance their knowledge in genomics, proteomics, cellular analysis, drug discovery and human identification. Founded in 1978, the company is headquartered in Madison, WI, USA, with branches in 16 countries and over 50 global distributors. Promega France has been present in the Lyon region since 1992 with 45 employees, and many distributors in overseas France, Maghreb, Egypt, Greece and sub-Saharan Africa.